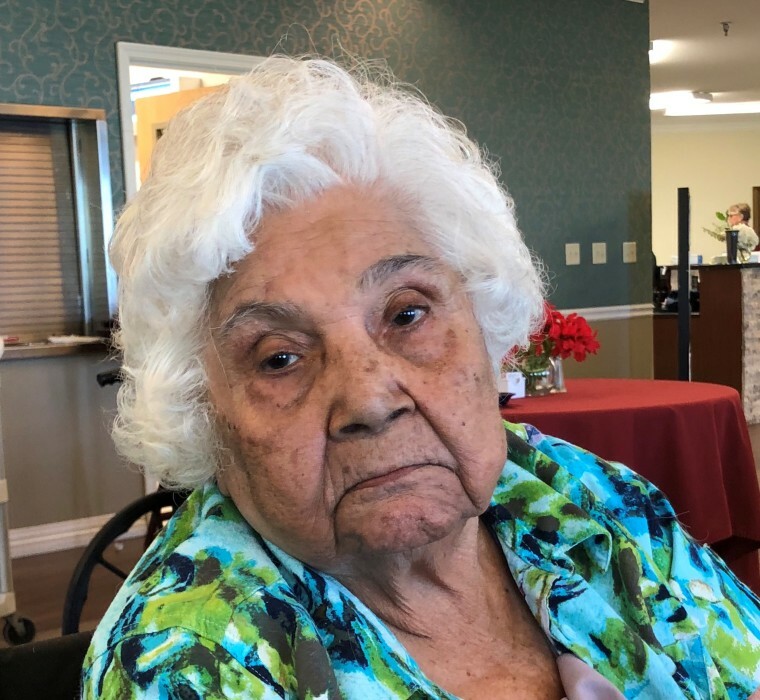 Maria de Jesus Rodriguez was called to be with our Lord on Tuesday January 29th, 2019 at the age of 92. She was born on Sunday April 18, 1926 in Jaral de Barrio Hacienda, Guanajuato, Mexico. She is preceded in death by her husband Estanislado Rodriguez and grandson Eli Abrego. Left to cherish her memories are her children; Juanita Garcia, Joel Saavedra, Arturo Abrego, David Rodriguez and Gloria R.Rangel She is also remembered by her grandchildren; Timothy, Gabriel, Adrian and Eduardo Garcia; Christopher and Christina Saavedra, Yvonne Abrego; Patrick and Meagan Rodriguez; and Phylicia and Brandy Rangel. She is also survived by her great-grandchildren; Christopher Abrego; Aletha Saavedra; Joslyn, Christiano and Mary. She was known for her love of gardening especially tending to her roses, cooking and watching wrestling-WWE. As she always said, “Jehova es mi pastor; nada mi faltara” then she would say “Okay”.